Update your living space with the contemporary design of this chair and a half. 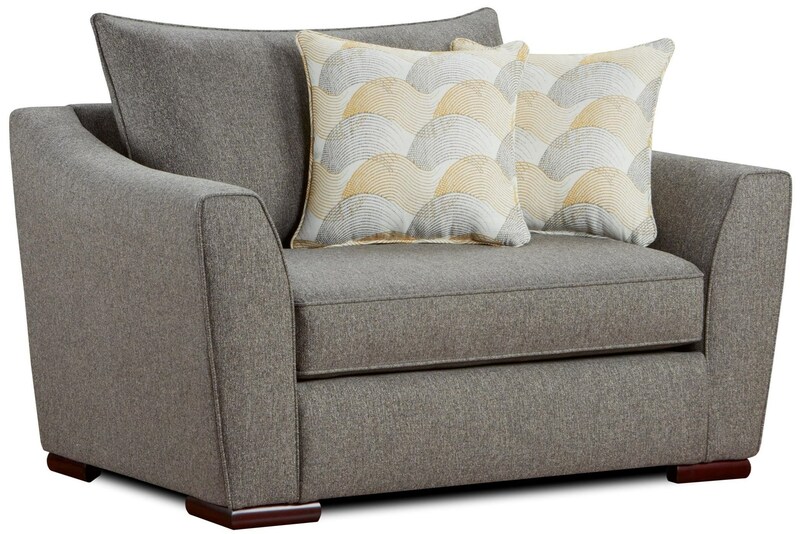 It features a loose back cushion, two 20-inch accent pillows, a reversible seat cushion, flared arms, and low-profile feet. The 9770 Contemporary Chair and 1/2 by Fusion Furniture at Zak's Home in the Tri-Cities, Johnson City, Tennessee area. Product availability may vary. Contact us for the most current availability on this product. The 9770 collection is a great option if you are looking for furniture in the Tri-Cities, Johnson City, Tennessee area. Browse other items in the 9770 collection from Zak's Home in the Tri-Cities, Johnson City, Tennessee area.